The origins of this art form, mentioned in the Bible and in Greek mythology, are lost. Textile scholar Lanto Synge posits that it probably originated in China, and documents early surviving fragments that are estimated as being 4,500 years old. 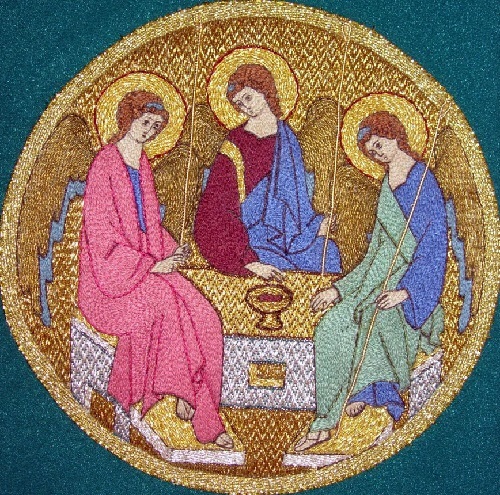 Throughout the history of embroidery, religious institutions have been among its greatest patrons. In Russia, goldwork embroidery received the greatest development in the second half XVIII – first half XIX centuries. 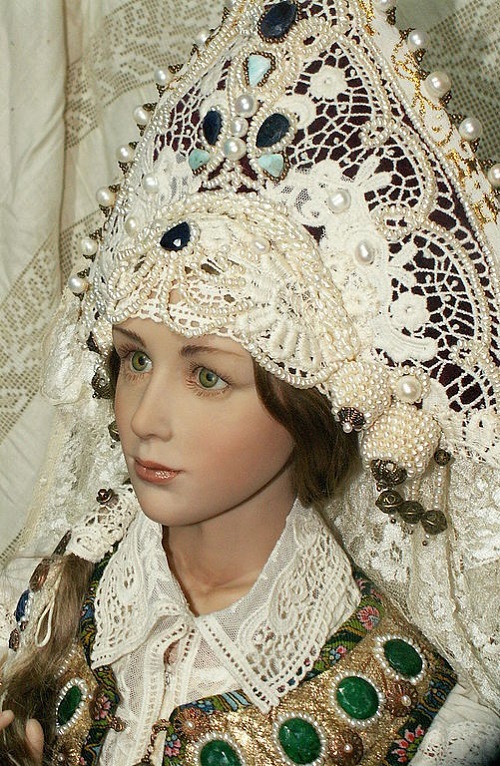 Then Torzhok masters embroidered hats, muslin sleeves, aprons, belts, morocco shoes, purses, folk costume parts and ecclesiastical objects. In summer 1999, students of the School of Church and gold embroidery embroidered the Ayor (covering in the orthodox church, rectangular in shape) for Optina monastery in St. Petersburg. This date can be considered the beginning of the Ubrus Gold embroidery workshop. 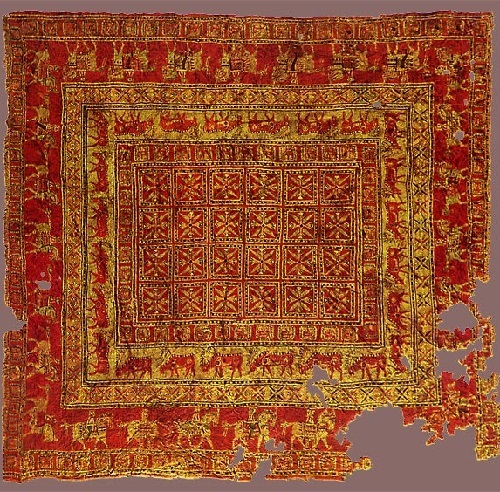 The earliest survived carpet relates to V century BC. Archaeologists discovered it in the famous Pazyryk mound in the Altai of Russia, and now it is in the Hermitage of St. Petersburg. Anyway, origin of the carpet is a matter of debate. Carpet makers were in Central and West Asia. It was possibly a funeral accessory and a masterpiece of Armenian workmanship. Pazyryk carpet concise ornament decorated with pronounced zoo and anthropomorphic elements (riders on horseback). In addition to serving as an ornament and element of interior, it is also the keeper of valuable information. Indeed, very often, the carpet can be read like a book. Besides, when stored properly, the carpets can serve more than one hundred and even a thousand years. 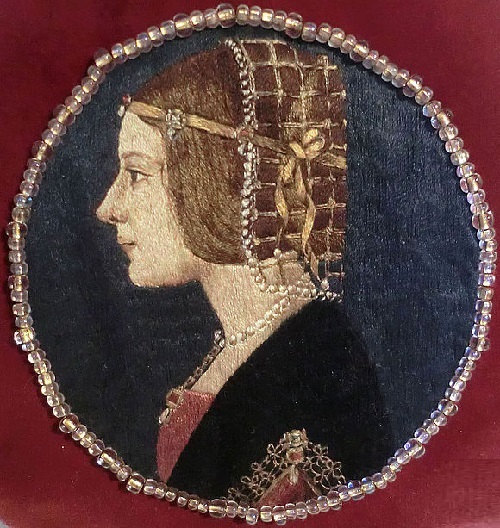 Textile art, and creating felted toys in particular, have become a natural extension of the creative path that Natalia followed from early childhood to adult career. Russian artist of applied art Natalia Fadeeva is the author of these wonderful toys made of felt or mohair. The artist creates her works by hand, and each of them is presented in a single copy. All the little creatures have a special character, and even facial expressions. It seems that a cat is just about to jump off the shelf, or a mouse family sitting at the breakfast table are going to run away on their business. 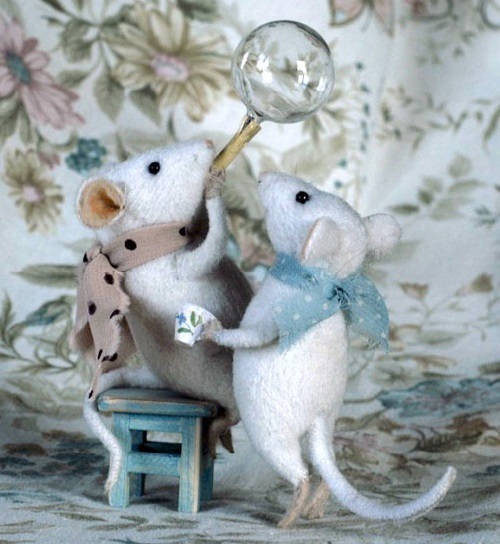 Natalia Fadeeva has been making stuffed animals for more than 15 years now. Started by her small toy making business has become a family business, in which involved other members of the family – her husband and son. Natalia Fadeeva sells her works worldwide. In addition to textile art, she is fond of creating video games, photography, and painting. 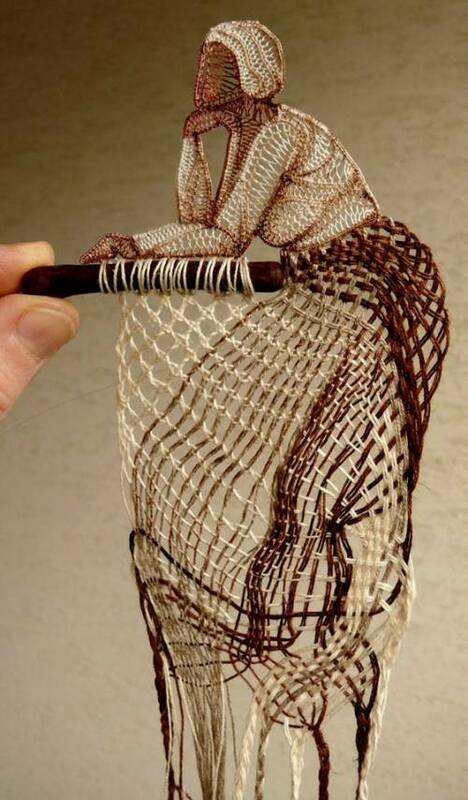 Russian professional artist Yana Bogdanova uses spun and wool like paints and brush. Paintings with wool is her most favorite kind of creativity. She has learned about this technique quite recently, but has mastered this technique at a high level. She is also engaged in oil painting, wood painting, interior painting and sculpting, as well as teaching (conducting master classes). Yana Bogdanova participates in trade exhibitions, mostly in St. Petersburg, where she lives and works. 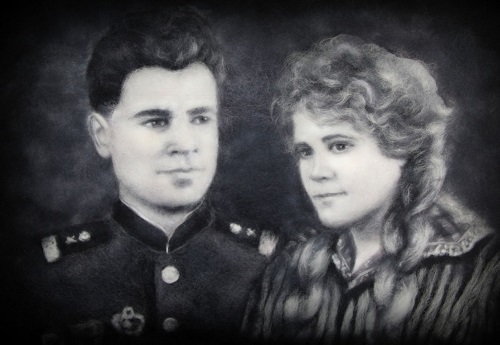 The wool paintings by Yana Bogdanova are in great demand and the attention from art lovers.